Check out our first newsletter of 2011! We have found over the years that an accident and process following it can be stressful for most people. Have a question about auto body, insurance companies, police reports or anything relating to a car accident? Send us an email and maybe your question will be featured in the next issue! 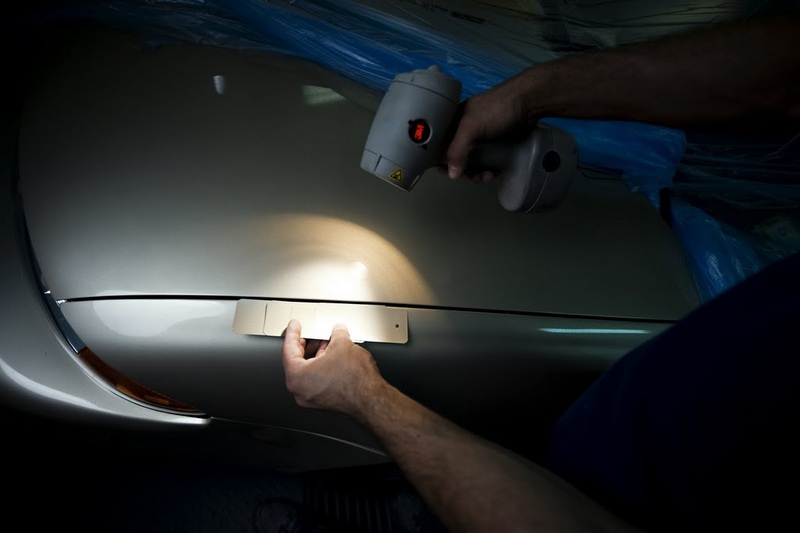 Has Collex repaired your vehicle and provided you with outstanding service? Our way of keeping in touch with our customers and providing automotive insight on a quarterly basis. I’m not one much for the soapbox… however, a current topic has me… well… slightly freaked. As a bicyclist, a dad, a member of the community and someone who manages a group of people who fixes cars and sees the results of accidents, I want to share some new research that is pretty simple and clear: texting is the most dangerous driver distraction – handily beating driving while under the influence. Texting behind the wheel is generational: over half of those aged 16 to 19 admit to texting while driving, 45.1% of drivers 20 to 24, 38.7% of 25 to 34 year olds, compared to 6.4 percent of 35 to 44 year olds, and 1.7 percent of 45 to 64 year olds. A nudge can be a powerful thing and we especially feel this way toward texting. Why not have ourselves or our teens make a pledge to not text while driving – a personal pledge that puts a little skin in the game? We happen to be fans of Extreme Makeover: Home Edition and several episodes ago they helped the family of Alex Brown – a Texas teenager who died in a car accident. Focusing on teens in high school, Alex’s parents have created a website dedicated to ‘DNT TXT N DRV’. Click here http://www.rememberalexbrownfoundation.org to have your teen take the pledge. For others, Oprah has a different site, ‘Oprahs’s No Phone Zone’ and you can sign the pledge by going to her site at Oprah.com. Without a nod to either show or TV personality, a simple commitment can go a long way. With discipline, just saying “no” can actually work. At the time of this writing, New Jersey, twenty-nine other states and the District of Columbia have passed laws that make texting while driving illegal. New Jersey is currently moving forward with bill S-2181 which doubles the fine for using a hand-held electronic device from $100 to $200. The second offense is increased to $250 – $400 and a third or subsequent offense to between $500 and $600. The bill would also impose a 60-90 day driver’s license suspension for persons convicted of the offense for a third or subsequent time and three motor vehicle penalty points. Whatever works – a nudge, a real fine or the recognition of the incredible loss that can happen in the blink of an eye, let’s help keep one another safe on the road: don’t text while driving. Okay, okay… how ‘bout some techie car stuff and new customer comments…?!? This is Not Your Father’s Automobile…. We love to hear feedback from our customers. Keep ’em coming! Here are a few of our favorites from this month! “I was very pleased with my experience. I was continuously updated and the typical “headaches” associated with auto repair were non-existant … (i.e insurance, transportation to and from shop, wait time …etc) Everyone was incredibly friendly as well. I would recommend you anyone!!! !” – Erin W. “Perfect!! Couldnt have asked for better service.” – Gail C.
“The service was great – very helpful from estimate to repair and everything in between! !” – Diane T. “WOW!! Having seen an advertisement on TV, I have to agree…total satisfaction is your goal. Quality is excellent! I am very pleased with all of the employees that were involved in handling my repair.” – Paul C.
As a local company, we work hard to make a not-so-fun experience as smooth and pleasant as possible. We know folks in our community don’t want to visit Collex! Yet we depend on you to recommend our service expertise to a friend, family member or co-worker who might be in need. Tell them about Collex – a comfortable solution to an uncomfortable situation. We continue to improve and will make sure your referral was well deserved!